The Flight Club in Manchester may be classified by some as just a social darts pub. However, with it’s beautiful interior design, it’s much more than that. 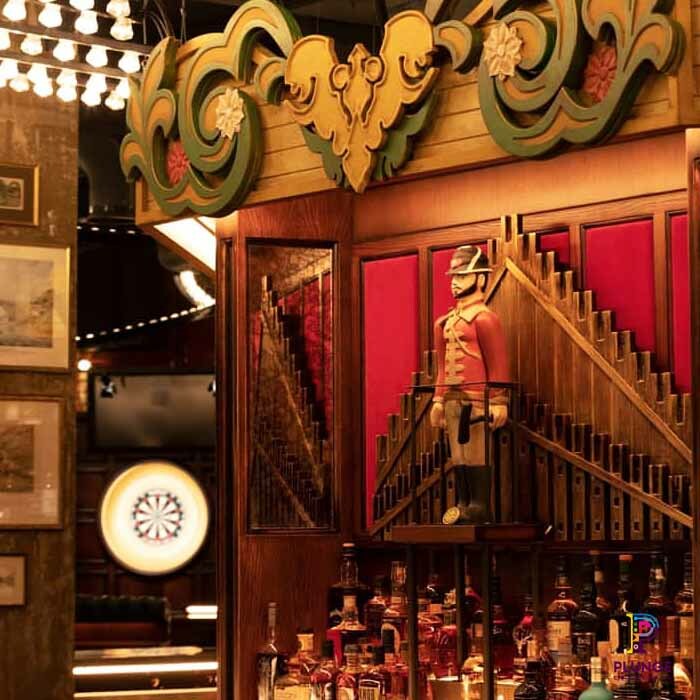 The bar is themed around the the dart games history in the fairground. 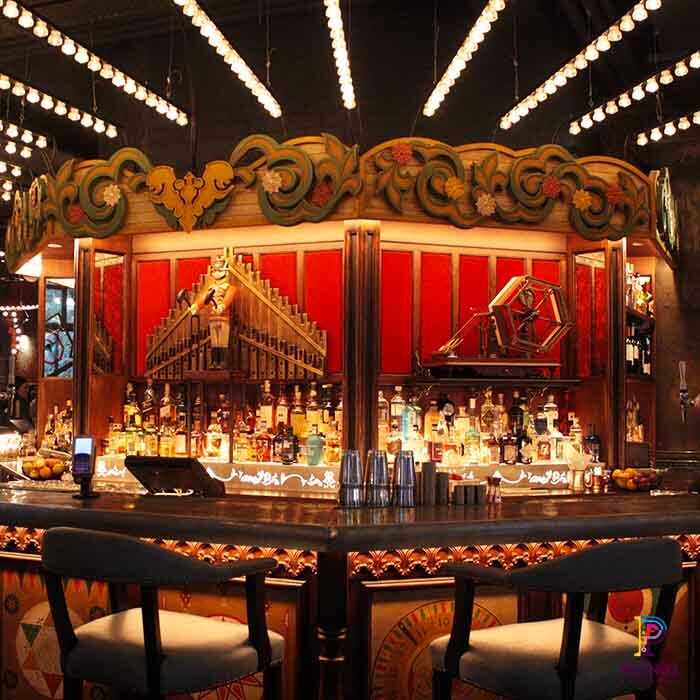 There is festoon lighting and a huge carousel style bar which dominates the main room. 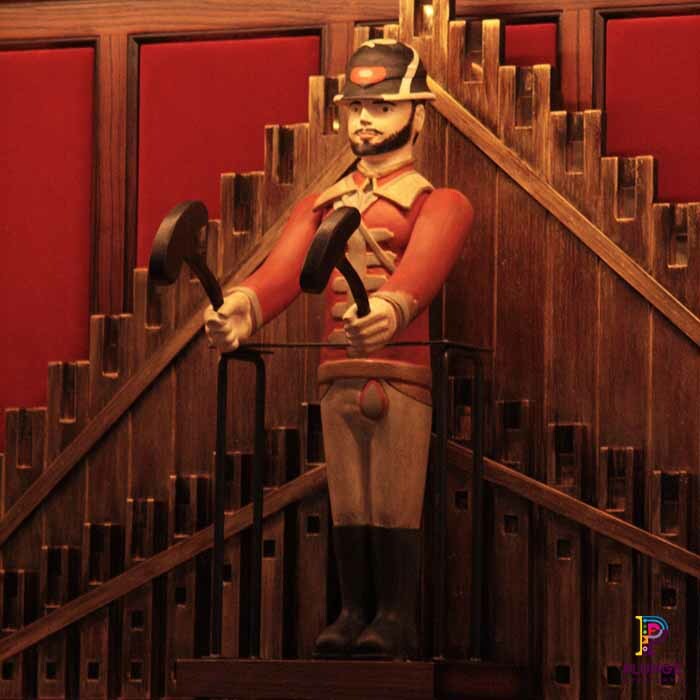 Plunge was commissioned to help bring elements of that bar display to life. 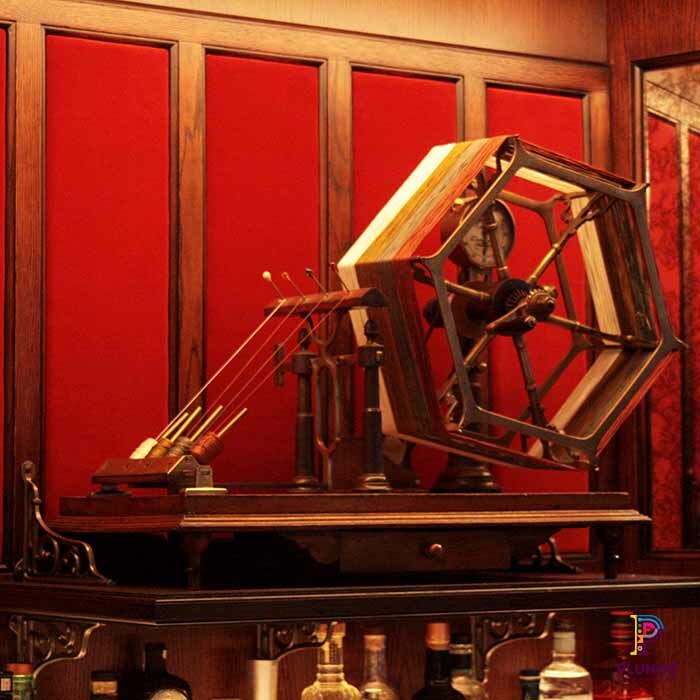 As part of the project we created an automated quarter jack which keeps time by beating it’s drum every quarter hour. As well as a yarn spinner that spins away on it’s shelf. That is until the spinning wheel has completed a spinning a full reel. At this point, with a ding of it’s bell, it reverses the process. If you find yourself on a night out in Manchester, call in for a fun night out. The project is a commission by Russel Sage Studio.